Holly earned her bachelor's degree in biology from Western Oregon State College and began working in food science and quality assurance. "I started at a processing plant and cannery before joining a coffee company in Portland." It didn't take long for the wine industry to beckon. "At some point while living in Portland I realized I really liked wine. I walked into the tasting room at Chateau Ste. Michelle and applied for a job. After a few months they moved me to the red winemaking facility to work in the lab. From the very first day, I loved everything about the job. 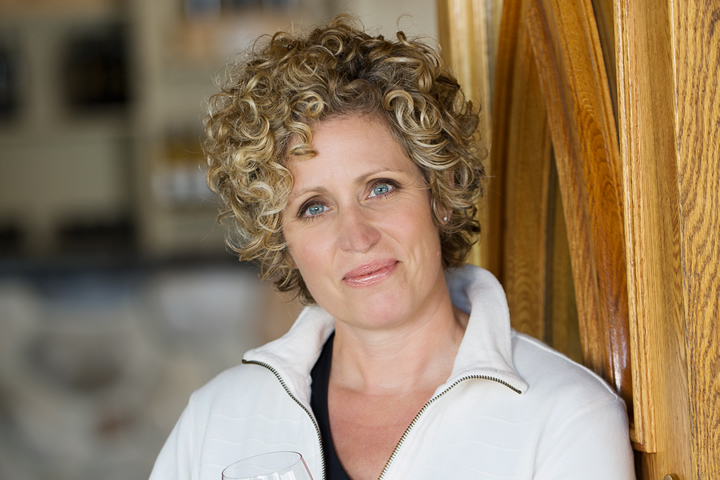 They had me take a number of courses at Davis and then moved me up to winemaking." In addition to Chateau Ste. Michelle, Holly also worked at Bodega la Rural winery in Mendoza Argentina, an experience that triggered her interest in Malbec. "Our conditions are comparable to the best parts of Mendoza and our Malbecs share many of the qualities that make their wines so special & intense aromas of blueberries and strawberries, lots of power and that wonderful juicy opulence that defines the grape." Over the last decade Holly has forged lasting relationships with growers throughout the region, giving her access to some of the best sites in the state. "Eastern Washington is one of the world's great wine regions. Being so far north we receive more hours of sunlight during the summer months than appellations to the south. The extra light coupled with moderate temperatures and little rainfall ensures that our wines deliver great consistency, concentration and character." Under Holly's direction, Three Rivers has earned dozens of scores above 90 points from the nation's top writers and publications. When not at the winery Holly and her husband Andy keep busy with their three children. On weekends you can find the family touring the streets of Walla Walla in their 61 pink Cadillac.